If you want more detailed information about this product, please search over the web for the manufacturers official page by inserting "Anibio (eu) Leber-Vital (liver Detox)" or contact our customer service. Leber-Vital with natural herbal extracts supports the liver and gall bladder, eg. after long-term use of drugs or due to the consumption of dry kibble. Any animal that eats dry food, even though of the highest quality, should help to purify the liver. Administer directly into the mouth or with food. Period of administration recommended: 10 days per month. Consult with your veterinarian for the dosages and times of administration. Your pet should always have plenty of water available, possibly combined with Willard Water. Filtered water, extracts of: xanthorriza turmeric (turmeric), Boldo (boldo), raphanus sativus (radish), citrus limonum (lemon), dextrose. Excipients Analysis: Crude protein 0.5% Crude fiber 0.3% Fat 0.3% 0.2% incinerated residue. After visiting my 22 year old cat, the vet gave me a specific diet for cats with kidney problems but the values were still high. 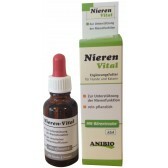 I happend to find Nieren Vital on fitopets.com and decided to to buy it to give my cat further kidney support. My cat has been taking it for months daily and I can assure everyone that the results are visible: my bamby goes to the bathroom regularly and above all she has no longer vomited. 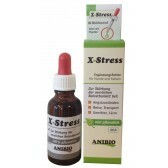 High quality and effective product.